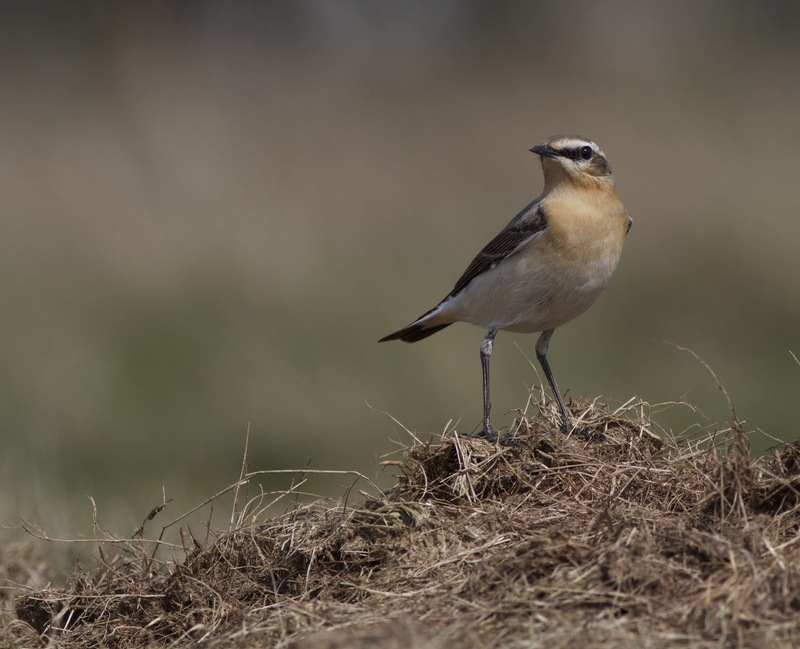 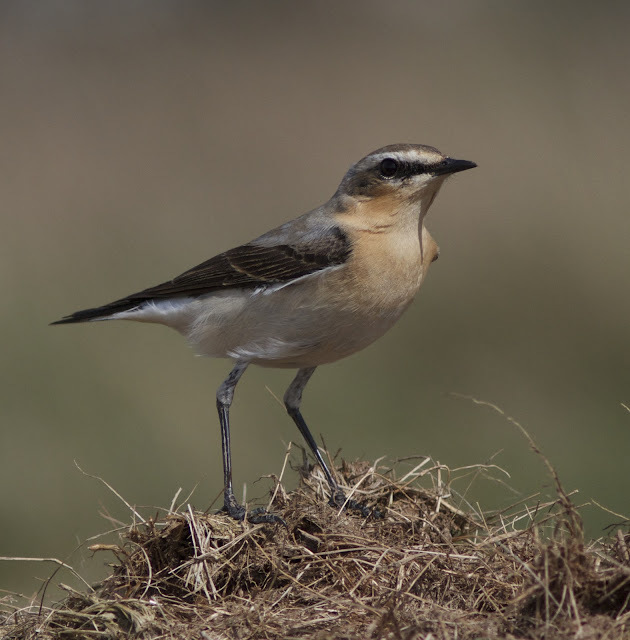 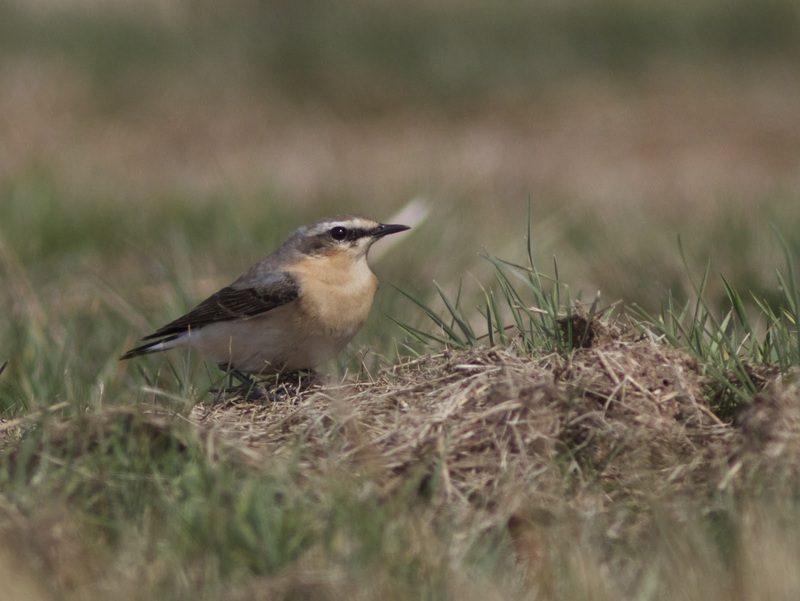 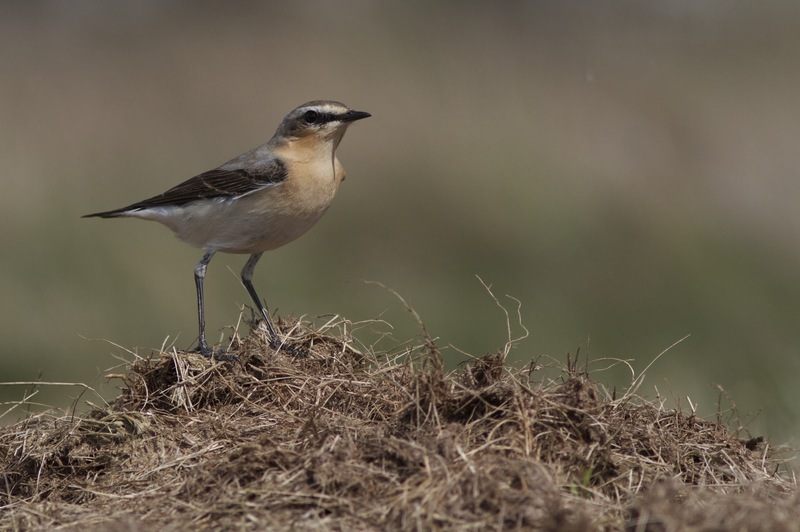 The Cowboy Birder: Wheatear at last! A packed family weekend reduced my birding time to a brief Sunday afternoon stroll over Wanstead Flats. I'm not typically a fan of birding in the afternoon, I'm much more of a early morning person, but with limited opportunity I wasn't complaining. The sun was finally shining and the peak cap had made an appearance for the first time this year, with the woolly hat having been firmly dispatched to the back of the coat cupboard until next autumn! A couple of Swallows and my first House Martin of the year were quickly swept along by the wind, a singing Chiffchaff in the SSSI and then, at last, my first Northern Wheatear on the Flats this year, hunkered down in the shortened grass of the broom fields - not one, but four birds keeping low and sheltering from the stiffening wind. After the British winter we've all just endured it was nice to be able to sit in the grass (still a little damp after yesterday's rain) in the pleasant afternoon sun, whilst watching these four sub-Saharan travellers insect hunting around me - knowing full well that this was just a brief stop en-route and part of their long migration northwards - magical. 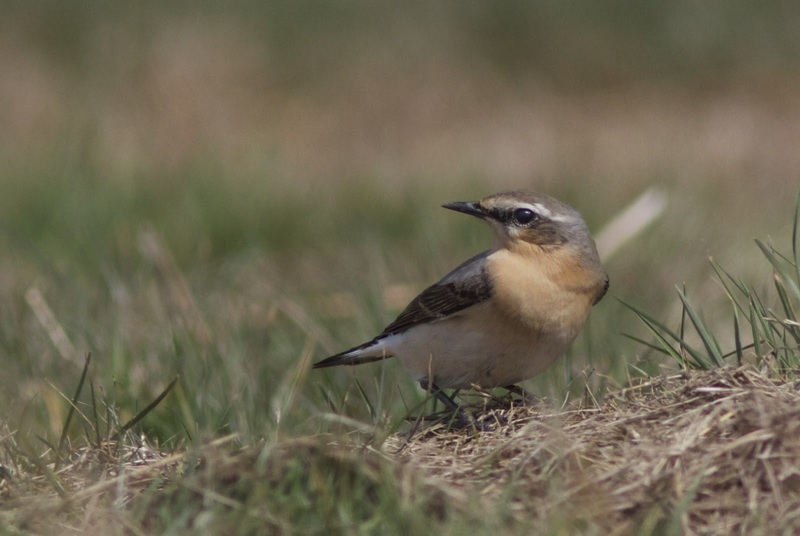 Iberian Chiffchaff on Wanstead Flats? 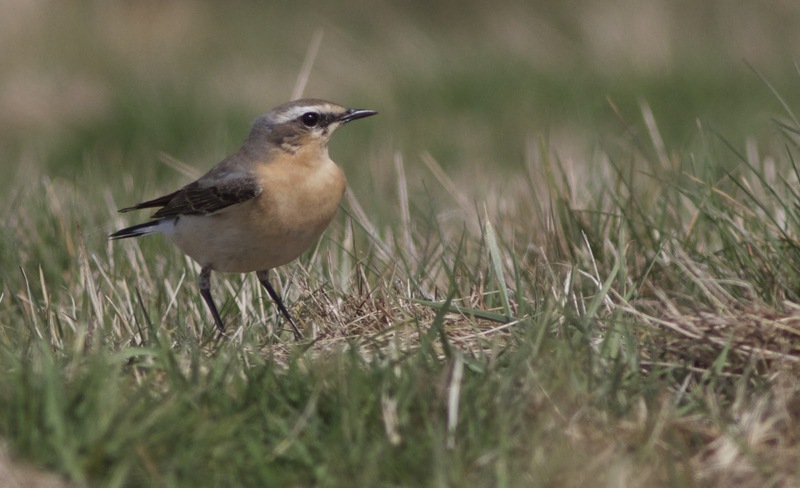 Siberian Chiffchaff - I think so!